Some more scenery by Baueda Wargames. It's a supplies stash, a little forward command post and a little sandbag dugout. On the latter the top can be taken off. I had planned to put some camo netting on top, but then the roof couldn't have been removed. Again, I painted these 'right ouf the box'. 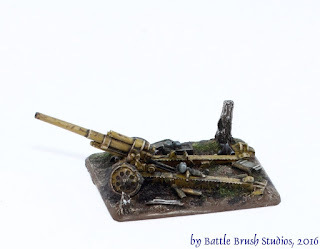 The bases on these may be a bit thick, but the scenery pieces are really nicely done. All I did was add the basing grass and such and the little fruit tree on the hut. 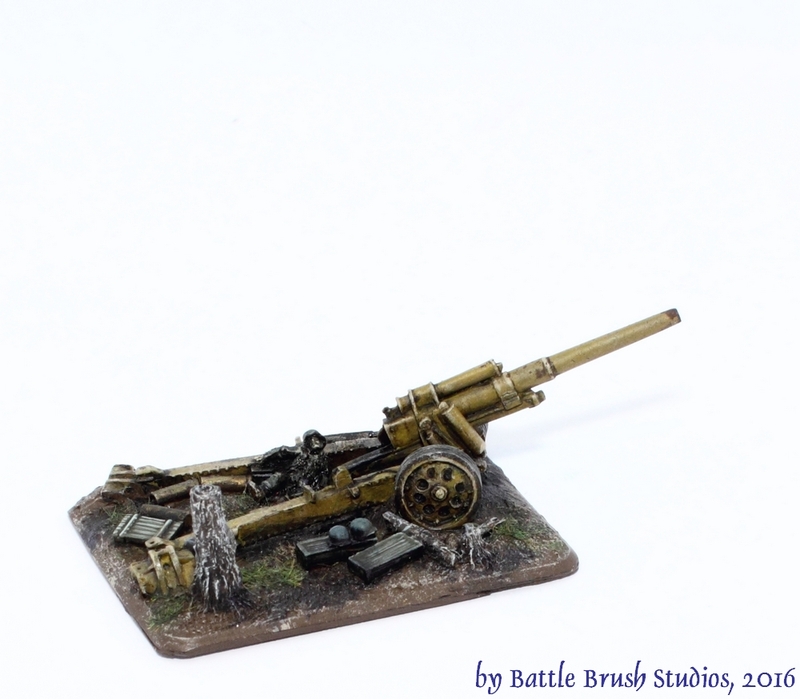 In addition to this I also painted up a destroyed German gun (schwere Feldhaubitze 18). These models actually are for myself and game demo tables and will mostly be used as Jump-Off Points for the brilliant Chain of Command WW2 platoon level rules.